With umbels, spires, and bright button-like dots, new perennial planting is perfect for the beginner gardener: intensely beautiful, swift to establish, simple to upkeep, beloved by bees, and incredible even in tiny spaces. This book draws on make-it-yourself, grow-it-yourself trends, and the interest in wilder, greener gardens. For a single person with only a spade, this highly practical book outlines the steps to making a garden that blooms within a matter of months; explains how to choose plants that knit happily together for sparkling displays; unlocks the secrets of new planting style for virgin gardeners; and shares tips and tricks for plants that love birds, bees, bugs, and butterflies. 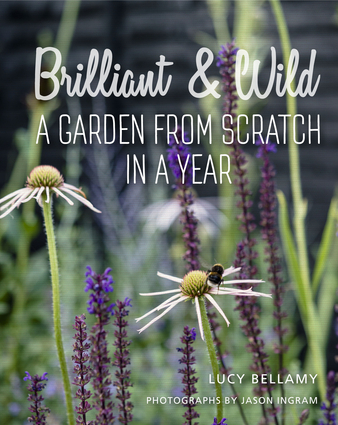 Lucy Bellamy designs gardens and is editor of Gardens Illustrated magazine. She has appeared on BBC television and radio and was a contestant on The Great British Bake Off in 2013. Jason Ingram is an award-winning photographer who works on a weekly gardening column for the Observer. Jason won the Garden Media Guild Photographer of the Year Award in 2013 and 2014.